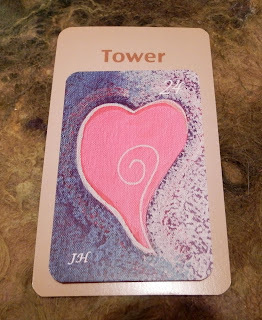 Weekend Reading: Heart in the House of the Tower from the Indian Lenormand and my Deck of Lenormand Houses. This weekend you may have reason to be grateful for the protection or service of those in charge, whether that be the government, the courts, a company, a hospital or some other authority. 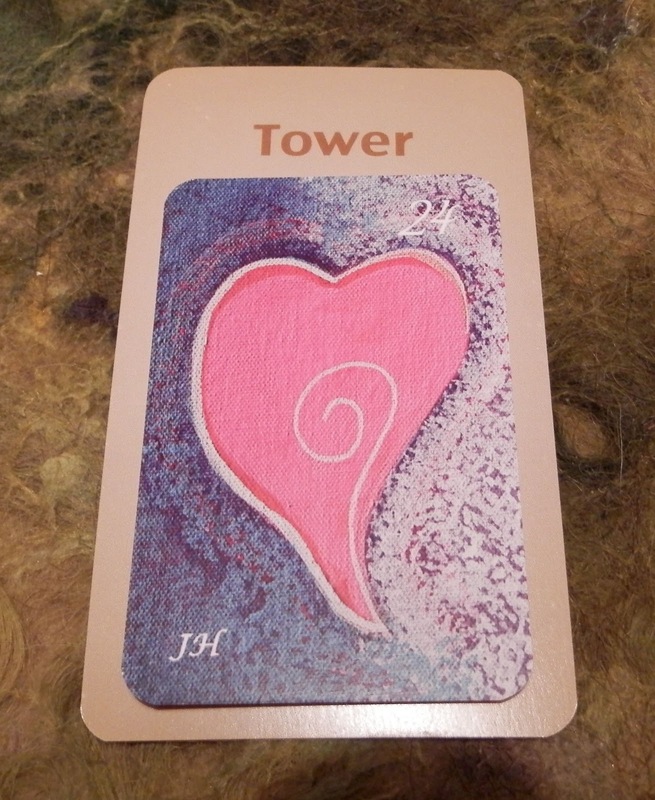 The heart warms up the cold distance that usually falls between us and authority. With this combo, however, the opposite could also be true...the warmth of the heart can be cooled amidst authority and restrictions. If the latter comes up in your life, try a more easy going approach. Either way, with Valentine's Day coming up in a couple of weeks it's best not to take those who've got our backs for granted.